Lawrence & Associates > Blog > Disability > In the Cincinnati Hearing Office, Does Getting VA Disability Guarantee Success with Social Security Disability? In the Cincinnati Hearing Office, Does Getting VA Disability Guarantee Success with Social Security Disability? The short answer is no. The common misperception among many, is that being granted VA Disability automatically renders you eligible for Social Security Disability. This misconception likely has its origins in the fact that in how the two disability processes were related in the past. In the past, attainment of full disability from the Veterans Administration weighed heavily in the favor of the applicant who applied for Social Security Disability. However, this is no longer the case, and many decisions from the Cincinnati hearing office have confirmed that no weight will be given to the VA Disability decision. Social Security and Veterans disability are both forms of government based disability payout programs. However they are operated by two separate and independent governmental departments. Each department has established its own criteria for determining who is eligible for disability payments, what qualifies as a disability, and how much each recipient may receive. To understand why veteran benefits no longer have such a meaningful effect of the outcome of your Social Security Disability, it is important to explain a short background about each agency and an explanation about how each individual agency determines the disability of the applicant. While many different iterations of Veterans Benefits programs have existed since the time of the Civil War. The Veterans Bureau, the precursor to the Veterans Affairs Administration, was established by an act of Congress in 1919. While Social Security Disability Insurance, or SSDI, came into law in 1959. SSDI is available to all workers because it is funded by a payroll tax. This program, which is federally insured, is designed to provide income supplements for people who have been prevented from working due to a physical impairment. What Is Veterans Administration disability? VA disability is a monthly tax-free benefit paid to veterans who are at least 10% disabled due to injuries or illness incurred during active duty service. Active duty service includes active duty training. These injuries can be either physical such as a knee or back injury, or psychological such as Post Traumatic Stress Disorder. The VA measures disability on a percentage system and it is recorded in increments of 10% up to 100%. Those who have a compensation rate of P&T are considered 100% disabled. P & T means permanently and totally “disabled”, which essentially means that the VA has considered the injury to be reasonably certain to continue throughout the life of the disabled veteran. How Do Cincinnati and Northern Kentucky People Get Social Security Disability? As opposed to Veterans Disability, the majority of Americans who have worked for the past ten years – whether or not they are or have been military veterans – will qualify for Social Security Disability Insurance. The official name of Social Security Disability is called Social Security Disability Insurance, or SSDI. You are eligible for disability benefits from Social Security only if you have been working for at least five of the last ten years. Unlike VA disability, SSDI is primarily concerned with “work credits,” i.e. how long you paid out into the system. The amount that you receive is calculated based upon your earnings history in your civilian occupation, as well as your military occupation if applicable. The applicant’s medical condition is expected to last more than a year. Social Security Disability is a monthly cash benefit which is granted to federal employees that have a disability that meets the Social Security Administrations definition of disability. There are 14 different general categories of disabilities that fall under the Social Security administrations definition of disability. These disabilities range from muscular skeletal disorder to auto immune disorders. The Social Security Administration calculates your monthly benefit payments by reviewing your previous income in your civilian and military jobs, as well as the date that your served. The maximum SSDI payment is $2639 per month in 2016. In order to qualify for Social Security disability, you must have be working with a severe disability that lasts for more than a year, or a disability that can lead to death, or a disability that prevents you from working. If the recipient goes back the work the benefits will be terminated. What Are the Differences in Social Security and Veterans Administration Disability Benefit Calculations? By a professional from an SSDI review board in the case that the applicant is a civilian who is not a veteran. Even though receiving VA disability has no bearing on the outcome of your Social Security disability claim, the good news for Veterans is that as of March 17, 2017, being granted 100% P&T disability by the Veterans affairs Administration qualifies you to have your application for disability expedited by the Social Security Administration. If you are 100% P&T then your application is considered high priority by the Social Security administration, and the application will be expedited. Some veterans must wait as long as 125 days in order to receive a response from the VA to determine whether they are eligible to received disability. In addition to the long wait times, navigating the Veterans Affairs Disability process may prove to be a long and tedious process for many. 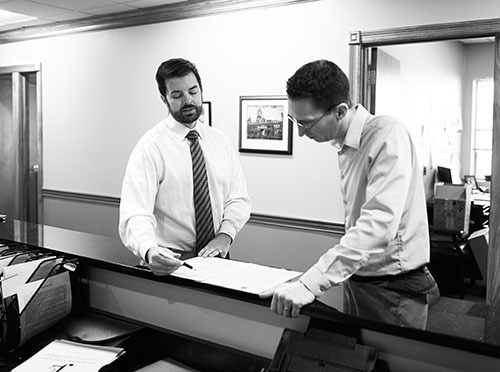 Thus, is beneficial to seek the assistance of an experienced attorney when handling such cases. The waiting period for a Social Security Disability claim is even longer, and thus it makes sense to get an experienced attorney for these claims as well.